The Cathars have returned to all parts of the World. Cathardom is being recognised as the true teaching of God and the true Christianity. Unlike experiencing God and living with Him, Faith stands on clay legs of a will to believe. Version of 18.04.2014. A well written overview article. A must for all beginners. Many thanks to the author. Esclarmonde the Saint and Esclarmonde the Hero blended into one legendary figure of the Great Eclarmonde of the Cathars. Read about each. From Richard Stanley, edited. Glen Craney pays tribute to Esclarmode of Foix and the Cathars. These events have changed the history of man, but your teacher told you little about them and almost certainly, not the Truth. An original article by James McDonald. The Holy Ghost and the Trinity explained rationally. The man in the Shroud and how the image will have formed. Version of 09.10.2016. The Knights Templar, connection to the Cathars, and the Shroud of Turin. Based on an article by Tracy R Twyman. With thanks. The demise of the Templars, the De Molay course, and where did Friday the 13th come from. A mystical presentation on the principles of the Cathar Teaching. Occitanians used a word modern language does not know; it meant more than honour, an abbreviated and lightly edited article by James McDonald. A view on the Cathars and Cathar beliefs from the Catholic perspective of the Middle Ages. An overview of the History and Practices of the Roman Inquistion with focus on the Cathars, in the Middle Ages, by Dr M D Magee. A fascinating read explaining the underpinning legislation. This article focuses on Cathardom as an alternative Church movement, and takes it beyond Montségur. From persecuted followers of Christ to persecution via State terror. The Papal Office constitutes Blasphemy according to the Bible. 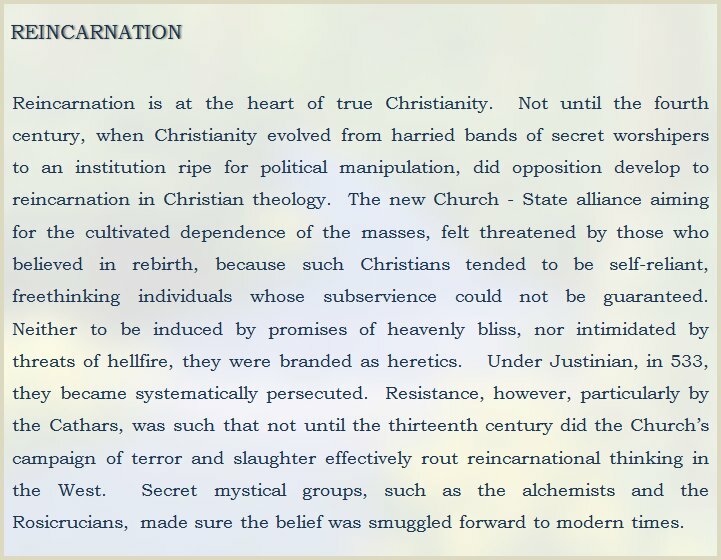 A few facts on the Roman Catholic Church and the Church propaganda against the Cathars. About the genesis and the duality of the Roman Catholic Church. The beautiful caves that became the resting place of over 500 immured Cathars.